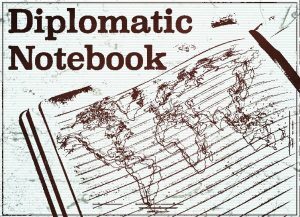 A weekly round-up of diplomatic matters that went below the radar. New Delhi: A yearly tradition in India-Maldives ties was observed this week – but with a twist. Based on the 1981 trade agreement, India exports certain essential commodities whose quantities are notified every year. These items are exempt from any restrictions or prohibitions on Indian exports during the period of notification. The latest notification, which is in retrospective effect from April, fixed the amount of potatoes, onions, rice, wheat flour, sugar, pulses and eggs that can be exported to the Maldives over the next one year. While this is an annual ritual, this year has seen a drastic cut in quantity – which sources explained was due to a change in the calculation that is strictly in line with the trade agreement. Till last year, India had allocated largely whatever amount the Maldives government had proposed, as per sources. For 2018-19, India decided to make some changes. The Indian government finalised the quota “based on the average utilisation by the Maldives in the last three years”. Utilisation was measured as the actual amount ‘lifted’ by the Maldives of these commodities in previous years. According to Article 9 of the bilateral trade agreement, quota allocations shall be finalised by the Indian government “with due regard to the supply availability and the overall need of the Government of the Republic of Maldives”. The sharpest drop in allocation – 98.4% – has been for wheat flour. Just 946.21 metric tonnes of wheat flour has been allocated for export to the Maldives in 2018-19, compared to 59442.17 metric tonnes in 2017-18. The second highest decrease in a year-to-year comparison was in sugar of 97.1%. The lowest reduction among the seven items was in onions – a relatively paltry 49%. The notification with a sharply reduced amount of exports of essential commodities has been issued in a backdrop in the downturn of relations. 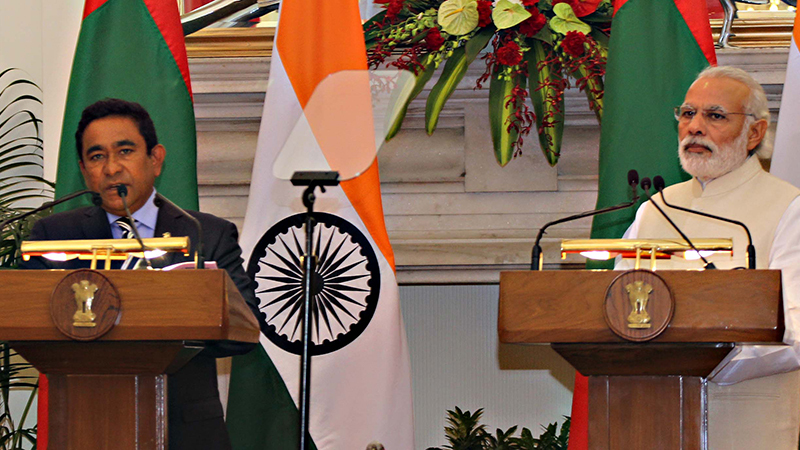 However, Indian officials assert that reduction is not a signal to the Maldives. Rather, they claim that the notification of the export quantity of essential commodities was a sign that New Delhi did not want to cause any hardship to ordinary Maldivians. There is yet another annual ritual that is looming on Delhi’s diplomatic itinerary. The Delhi Dialogue is a track 1.5 event, which India has been organising every year since 2009. This year, it will be organised on July 19-20 by the Delhi-based think-tank RIS. 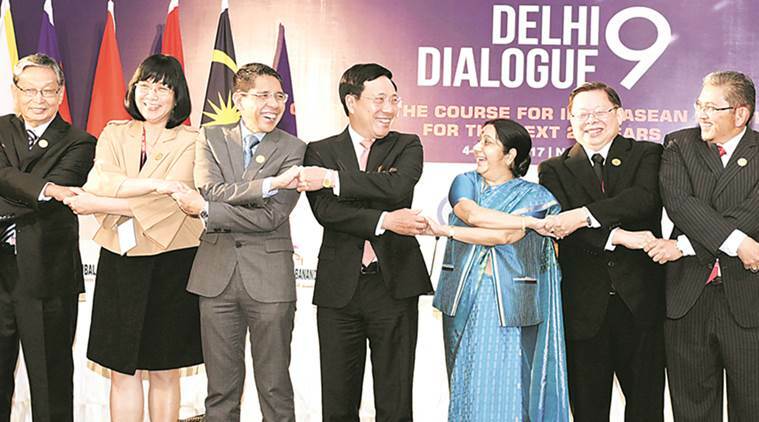 The reason that India-based embassies from ASEAN countries look towards the listing of Delhi Dialogue on their calendar with some trepidation is that invariably, every year there is a last-minute push from the Indian side to get more high-level ministerial participation. The familiar request was again made when all the ASEAN ambassadors met with the concerned senior official in the Ministry of External Affairs earlier this month. Till now, only two ministers – from Myanmar and Cambodia – have confirmed their attendance. Besides increasing the ministerial quotient, MEA is also giving special attention to the composition of the participants. This is because they do not want a repeat of last year’s near disaster. In 2017, the Thai embassy formally complained to MEA that one of the invited participants at Delhi Dialogue was a known dissident who had been charged under the kingdom’s lèse majesté law. The problem was that the participant, Pavin Chachavalpongpun, was already in India. Further, Thai deputy foreign minister Virasakdi Futrakul was also attending the conference, which added further to the pressure. The situation was dire, and the lack of time meant that rather than reaching a diplomatic compromise, a more heavy-handed approach was adopted. The Thai delegate was told that he couldn’t attend the ministerial sessions on the first day. In an article, Chachavalpongpun wrote that he was so insulted that he boycotted the rest of the conference and left India. Since leaving Thailand, he teaches at Kyoto University and applied for asylum in Japan. Till last year, the organisers, like ORF in 2017, were largely left to their own devices in selection of the participants from the business or academic sector. However, because of last year’s fiasco, the organisers have become “very cautious” about the participants. For the first time, the ministry is vetting each and every name for the tenth edition of Delhi Dialogue. “MEA is looking at the list of delegates minutely so that we don’t face embarrassment later,” said a source. This week’s flashback is courtesy this month’s elections for a non-permanent seat at the United Nations Security Council. The Maldives lost badly to Indonesia (46 to 144) – and India broke a tradition to vote for a fellow South Asian country. The Maldives’ defeat was a reminder that subcontinental nations are now a rare breed on the UNSC. Till the mid-1990s, India and Pakistan were regulars, taking turns (with Nepal and Bangladesh) on the horse-shoe table. In UN’s 72-year-old history, two South Asian countries have stood against each other for a seat only once. That was in 1975, when India, Pakistan and the Philippines were eying the Asian seat to be vacated by Iraq. Forty-three years ago, the UN was much smaller, with just 140 members compared to current membership of 193 nations. In Pakistan, Zulfiqar Ali Bhutto was the prime minister and India was under a state of emergency. It was a memorable election also because it went on for seven rounds before India withdrew in favour of Pakistan. India got 60 votes to Pakistan’s 59 and the Philippines garnered 25 at the first round of elections held on October 20, 1975. Rounds 2 to 4 did not bring any resolution. 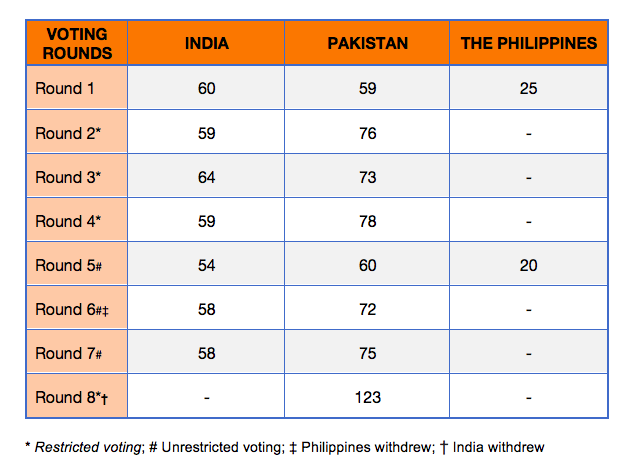 India’s votes oscillated between 59 to 64, while Pakistan’s best score was 78 in the fourth round. Neither were near the required two-thirds majority figure. After a break of two hours, the chair called for ‘unrestricted’ balloting under rules of procedures 94, which meant that any member state could be a candidate except for the P-5, current and outgoing UNSC members. Sri Lanka’s permanent representative, H.S. Amerasinghe suggested that member states should “vote for two candidates”, but this interpretation of guidelines was dismissed by the acting General Assembly president from Barbados as per UN meeting records. With no restrictions on names that could be written on the ballot paper, Pakistan’s tally came down to a narrow lead of just six votes over India’s 54. A substantial portion of Pakistan’s previous votes were transferred to the Philippines, who collected 20 votes. Surprisingly, Bhutan got one vote. Before the next round was announced, the Philippines withdrew from the race “in the hope that the Assembly’s task will thus be made less complicated and difficult”. Before the assembly adjourned for the day, Pakistan surged ahead in sixth round – 72 to 58. Next day, the seventh round saw no change in India’s numbers, while Pakistan added three more to its tally from the last round of balloting. The deadlock remained, and UN delegates began endless rounds of voting. The Saudi ambassador, Jamil M. Baroody, who was also the dean of UN diplomats, was the first to publicly suggest that one of them should withdraw on the grounds of ‘noblesse oblige’. He also pointed out that any suggestion to divide the two-year term between India and Pakistan would be impractical. Not pulling any punches, head of the Asian group, Kuwait’s Abdullah Bishara stated that “continuation of this, to put it mildly, unpleasant and indeed unattractive spectacle does not redound to the prestige of this Assembly or do it honour”. Giving a hint to the behind-the-scenes furious negotiations, Bishara said that they had been trying for three days “to get something out of the jaws of fire”. After a break of two days, the plenary meeting began with elaborate “brotherly appeals” from Kuwait, Argentina, Dahomey (known later as Benin), Mauritius, Iraq and Algeria to one of the South Asian rivals to withdraw from the race. All of them emphasised that they had good relations with both India and Pakistan. They also promised to support the candidacy of the withdrawing country in their next bid to join the UNSC. The last promise, however, led to a sharp reaction from Thailand. The Thai diplomat reminded that the Philippines had actually been the first to leave the race for the greater good and Manila’s next attempt to sit at the UNSC should be the one getting more support. The Filipino delegate expressed the same, adding that they would plan to stand for election when Japan’s term ended in 1976. 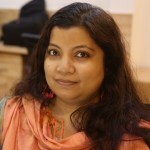 Finally, India’s Rikhi Jaipal announced that New Delhi’s “concern for Afro-Asian solidarity” had led it to retire from the contest. “Members will bear witness that the election campaign of both sides was free of elements of nationalistic rivalry or political confrontation. There is, if I may so, no winner or loser today. If there is victory, then it is the victory of good sense and friendship”. Akhund also said that when India stood next for election to the UNSC, Pakistan “will consider it a pleasure and duty to give it full support”. On October 21, 1976, India won the UNSC elections, uncontested. It got 132 votes.